Back in December 2014 Wired Strings recored this epic track for Nate Reus from FUN. The song features strings, trombones and french horns. Orchestrator Rosie Danvers also collaborated with Nate Reus and Jeff Bhasker on FUN’s album ‘Some Night’s’ and Reus’s duet with Pink, ‘Just Give Me a Reason’. 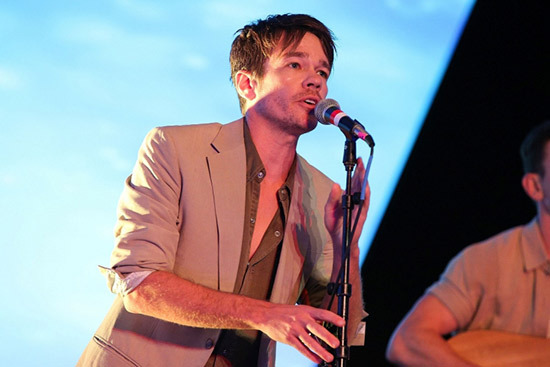 Music Times: "Great Big Storm" stars Ruess' now-signature blasted vocals, epic strings, booming drumbeats and honking horns for the entire four minutes. Listen to ‘Great Big Storm’ here: Taken from his album, ‘Grand Romantic’ out now. Orchestrated by Rosie Danvers, Orchestral Producer TommyD, Performed by Wired Strings, track Produced by Jeff Bhasker, Engineered by Mike Horner and Recorded at RAK Studios, December 2014.